The price of gold hit $1500 an ounce for the first time ever today as gold futures for June delivery reached $1500.50 an ounce. This intraday high was briefly reached before resettling to $1495 an ounce. The sudden Gold Spike comes on news from Standard & Poor’s report that the U.S outlook for long-term debt has been reduced from stable to negative. In addition uncertainty regarding the strength of the dollar has driven investors to look for an alternative. 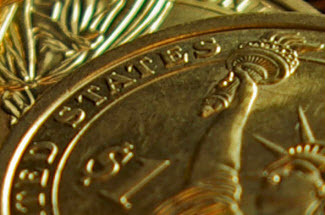 Their concerns regarding US debt, and the deficits has boosted demands of precious metals as an alternative to holding the dollar. The price of gold has kicked up words continually for the last several months. Lim Chae Myung of Hyundai Futures recently said “The bullish trend becomes pronounced as more and more people get out of the dollar to buy hard assets.” Gold futures have increased approximately 31% over the last year. 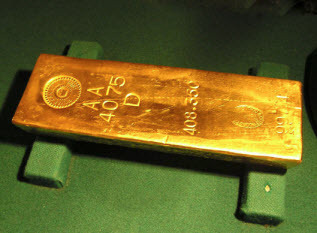 Some analysts are now expecting gold prices may reach $1600 an ounce by the end of 2011 or sooner. The deadline for reaching an agreement on whether or not to raise the debt ceiling in the US is to in May. Depending on the news coming out of Washington DC the debt ceiling events will most likely creates further activity.